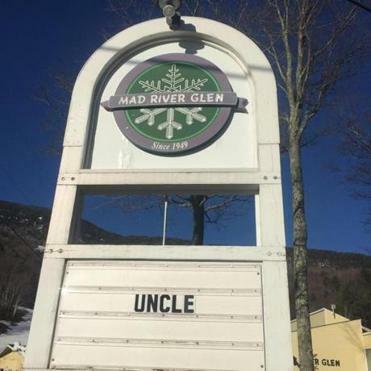 Yep, the sign on the left at Mad River Glen pretty much sums it up. Mother Nature, you’ve brought us to our knees. We surrender. I personally give up. My ski season is over. I know, a First World problem, right? Boo hoo — instead of skiing 88 days like I did last year, I only clocked 53. Yes, I’m whining. 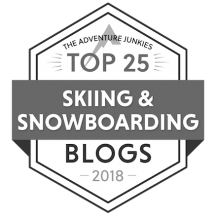 But here in the East, the worst ski season in years has had terrible repercussions, not just for skiers, but for the resorts and businesses that depend on them for income. Peak Resorts, for example, which owns 14 eastern resorts, reported revenue down 16 percent from the same quarter last year. Overall visits to Peak properties dropped 23 percent compared to the same quarter in 2015. And they’re by no means alone. Call it what you want — The Year of No Winter, The Winter That Never Was — I’ll just call it dreadful. 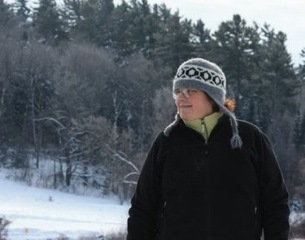 According to the National Oceanic and Atmospheric Administration, all six New England states set records for warmth, a marked reversal from last winter, one of New England’s harshest. You can read more details in this article in the Washington Post. In Vermont, the season started bad and never got better. Christmas Day saw temperatures climb into the 70’s. The Nor’easters that typically bring blockbuster storms never materialized. We were plagued with freeze/thaw cycles. And we got far too much rain. The results speak for themselves. Sugarbush, for example, got roughly half the snow they typically get during an average winter. And as of March 31, Jay Peak was at 55% of normal snowfall and is likely to have the lowest snowfall season in its 35 years of data. Even worse, some smaller ski areas never even managed to open. For the larger areas, it was all about the snowmaking. Without it, I don’t think we’d have had any ski season at all (for my post about how the snowmakers at Stowe handled the season, go here). To the snowmakers out there, two ski poles up. Thanks for all your efforts. You truly are miracle workers. Yes, I know. The ski areas in the West have had a banner season. Reports are coming in left and right of resorts that are extending their ski season. And I’m glad for it. Last year was a bad one out there, so yes, they deserve it. Still, I get heartache watching the photos of major dumpage parade by on my Facebook feed. 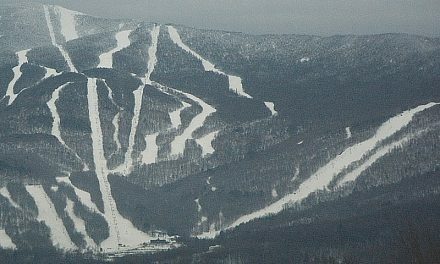 In the East, though, many ski resorts have wrapped up the season early. Ski shops, loaded with unsold merchandise and struggling to stay afloat, are having blowout sales. And me, I’ve put my skis to bed. If I could manage another trip out west, I would. But since that isn’t going to happen, it’ll probably be seven long months before I ski again. Goodbye, winter. Don’t let the door hit you on your way out. Here’s to a better ’16/’17. PreviousWhy We Love Spring Skiing. Sorry it was such a bad year in the East. BTW, we had three years of limited snow out west…..but we have excellent snowmaking so resorts were able to stay open….well most of them.